The area co-ordinator – East Kent provides administrative support to Kent Music’s area managers in their roles of developing and delivering a new strategy for each of Kent Music’s priority areas. 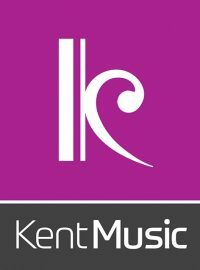 The area co-ordinator – East Kent provides administrative support to Kent Music’s area managers in their roles of developing and delivering a new strategy for each of Kent Music’s priority areas. This will involve working across all areas of the organisation including tuition, schools, celebration events, music centres, and other out of school activities. The successful candidate will be integral to the smooth running of all activities and events across their districts. Districts include Swale, Ashford, Canterbury, Folkestone and Hythe, Thanet and Dover and the post holder will be based at Kent Music’s head office in Maidstone. Kent Music is an education charity that develops musical opportunities to support the aspirations of children, young people, adults and teachers in Kent. It does this through the provision of instrumental & vocal tuition in schools, music groups, music centres and programmes in local areas and advanced level programmes such as the County Youth Orchestra, County Choirs & Wind Orchestra and the annual Kent Music Summer School.